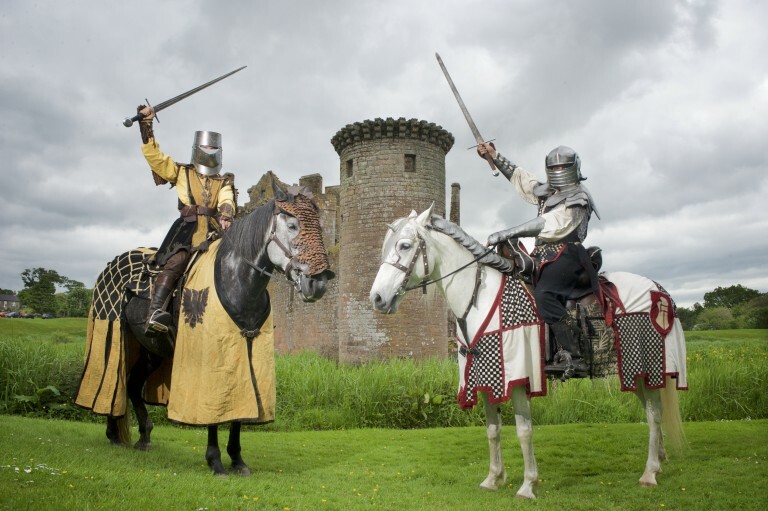 Spectacular Jousting is charging into Caerlaverock Castle this weekend, so we thought we’d take a look at the who, how, why and where of this fascinating sport! When you hear the word jousting, what do you think of? For a lot of people the word conjures up exciting images of chivalric knights in armour, competing for glory. You might associate the sport with legends of Arthurian England more than with Scotland – but we have a long history of chivalry too! 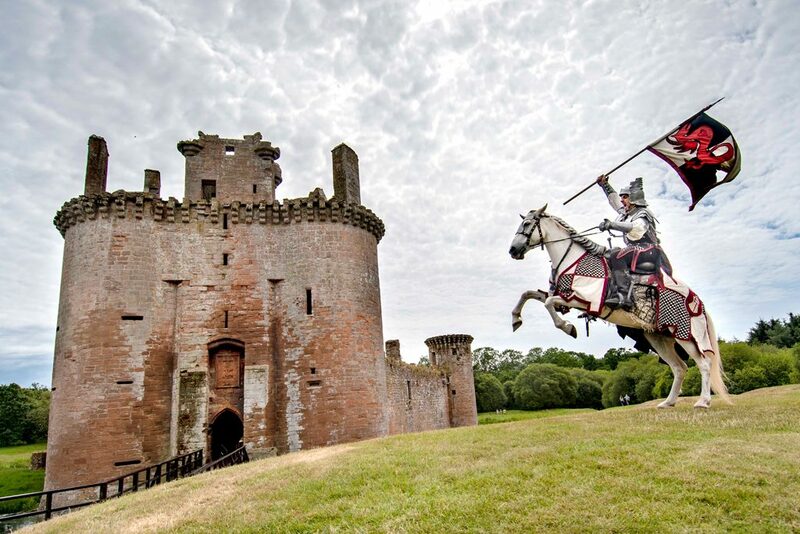 Ahead of Spectacular Jousting at Caerlaverock Castle this weekend (28 and 29 July), here are our favourite jousting facts. Jousting was a kind of sporting contest where two knights on horseback, armed with blunted lances, tilted at each other. Jousting tournaments were very popular in Scotland during the Middle Ages. Why did people start doing it? It began in the British Isles as early as 1066 with the mêlée – part sporting contest; part training for the real challenges of medieval combat. During the high medieval era, the mêlée evolved into the joust and later, when guns began to be used for warfare, jousting became more of an entertainment for the king and his court. There were special rules and a scoring system. The event often included other kinds of spectacle and entertainment. There were different forms of jousting, all of which allowed competitors to show how good they were at fighting. But the most famous contest involved two knights on horseback charging towards each other with lances. Yes it was! King James III’s younger brother was killed while jousting. So was King Henry II of France. But jousters use blunted weapons and special armour to make injuries less likely. A knight would wear a metal helmet and a heavy suit of armour, which could take an hour to put on. Over that, he wore a brightly coloured surcoat displaying his coat of arms. Each knight had a different coat of arms, so he could be recognised while wearing a helmet. Why did people hold jousting tournaments? They were often held as celebrations – to mark a victory in battle, or the signing of a peace treaty, or a royal wedding. Sometimes they were held during wars, to keep soldiers busy and to train them. Tournaments were usually organised by kings. In Scotland, David II, James IV and James V were very keen on jousting – both as hosts and as participants. They sometimes competed in disguise. Where in Scotland were they held? Between 1350 and 1603 (when James VI became James I of England) jousting tournaments were held in Edinburgh, St Andrews, Perth, Stirling and Leith. At one Leith tournament, the knights fought in boats! 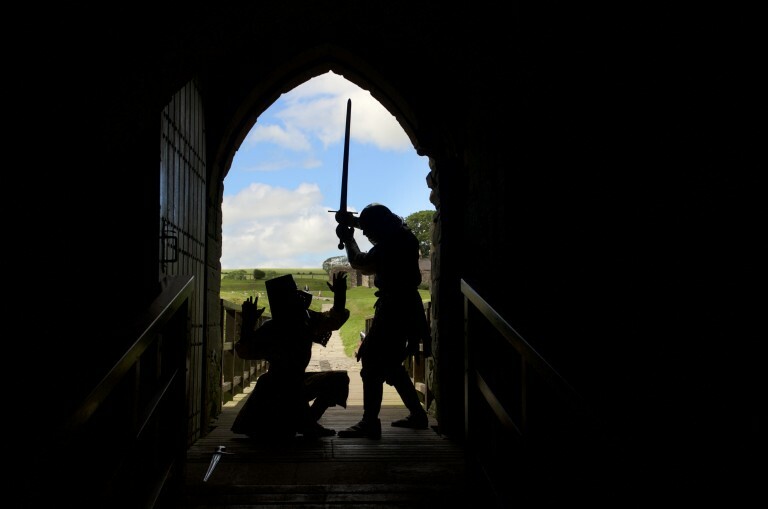 All knights were supposed to believe in chivalry – a code of honour, bravery and loyalty. But some did cheat by having their armour bolted to their horses. Others used jousting tournaments as a cover for murder! Are suits of armour used nowadays? Modern soldiers (and motorcyclists) use flexible synthetic armour such as Kevlar. And in 1962, some NASA scientists who were designing space suits visited the Tower of London. They wanted to study the jousting armour of King Henry VIII. 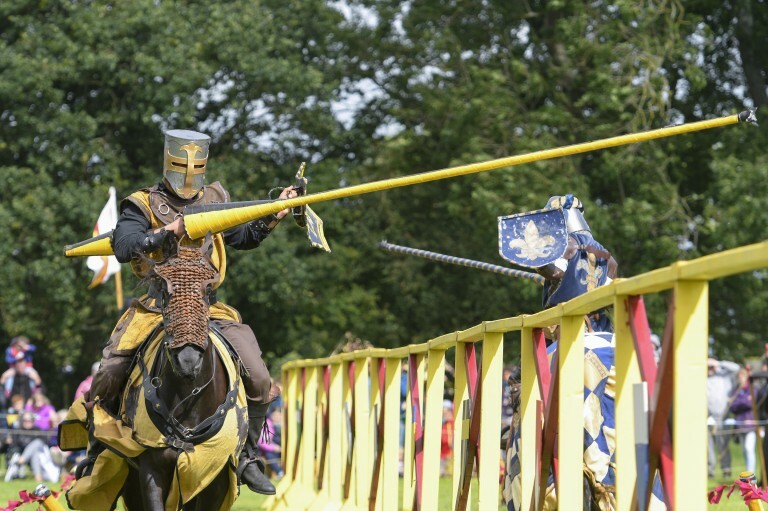 Now you’ve got the lowdown with our jousting facts, you’re all set to impress your pals at Spectacular Jousting. We’re looking forward to welcoming you on Saturday 28 and Sunday 29 July at Caerlaverock Castle. 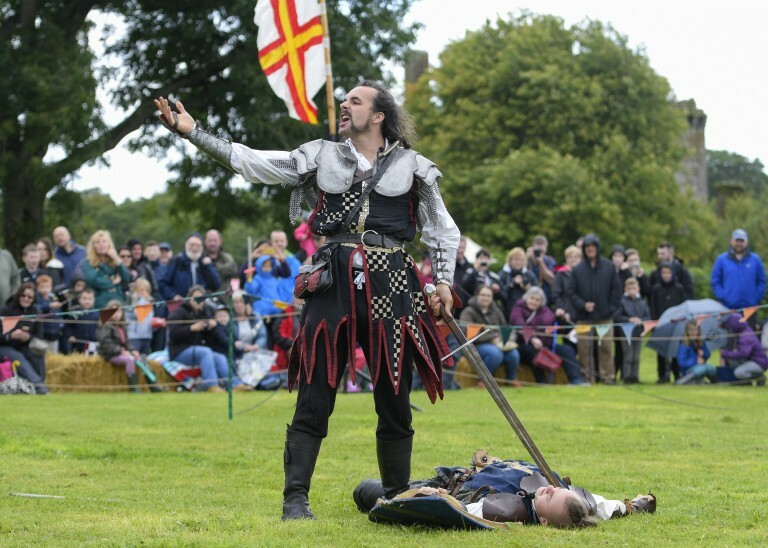 Suffering from the ‘History Bug?’ be sure to come along and treat your Knight Fever!